If you’re visiting Bulgaria, then the fabulous Rila Monastery absolutely needs to be a part of your tour. It’s perhaps the most famous historical landmark in the country, and for good reason. The monastery of Saint Ivan of Rila – or simply, the Rila Monastery – is the largest of Bulgaria’s orthodox monasteries and stands amidst dramatic alpine views in the Rila National Park. It’s easiest to reach the Rila Monastery in Bulgaria from Sofia… but on one of my tours, I’ll be happy to pick you up from wherever you are in the country! We can plan a day trip to the Rila Monastery, or we could even feature it as one stop on a longer, multi-day tour of Bulgaria. Just let me know how much you want to see! With years of professional guiding experience behind me – along with a state-of-the-art, modern vehicle and dedicated driver on hand – I’m ready to help you enjoy the ultimate trip around this beautiful country. To see the Rila monastery – this fantastic historical site for yourself, why not talk to me about a day tour to the Rila Monastery from Sofia? 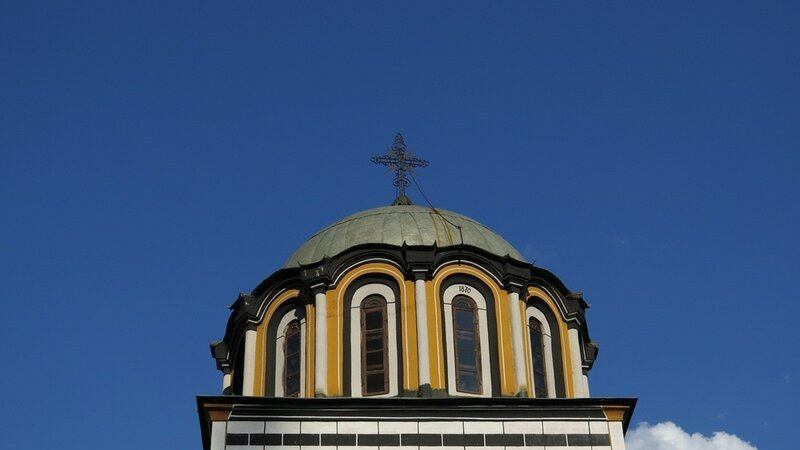 I’ll be glad to design the perfect trip for you and your group, taking you right up into the breathtaking mountains to explore a unique treasure of the Bulgarian orthodox faith. So begin planning your expedition to the Rila Monastery in Bulgaria today! Just send me a message, and let’s talk. Just let me know how much you want to see! I’m ready to help you enjoy the ultimate trip around this beautiful country. Not far from Sofia, the Rila Monastery rises majestic amid forests, by the initial folds of Rila mountain, by the Rilska river. The tenth century was its founding period; then it survived a fire in the eighteenth century, and still rises stern and beautiful. The Rila monastery complex exerted a crucial role in the maintaining of Bulgarian religious spirit and culture. Nowadays, visited for its ancient setting, for its verdant surroundings, and ranking as a UNESCO World Heritage Site, the Rila Monastery attracts throngs of visitors on an area of nearly 8,800 square meters. Nearly 5,500 square meters of it is built on area. The wings of the Rila monastery buildings are in four or five storeys, forming a pentagram yard. Now a Bulgarian saint, the founding person, inhabitant of the holy place, Ivan of Rila, was a hermit. It gradually expanded, in the 1335 a defensive tower was added and also a small church. The tower’s name, Hrelyo’s tower, commemorates the local ruler who provided the funding, Hrelyo. The tower, the oldest building that remains preserved within the entire monastery complex, has on its top the Transfiguration Chapel. Inside, precious frescoes dating from the 14th century are its asset. In the time since its founding, the Rila Monastery has also been the center of enlightenment. Eminent Bulgarians contributed to the spreading of knowledge and the maintaining of Bulgarian national identity. The Rila monastery has been the center for preserving precious ancient manuscripts and printed books dating from the centuries since its thriving, the fourteenth century period, a collection of coins, church items, icons, etc. In the vicinity, several churches are located. The Presentation of the Virgin church, the cemetery church, stands south of the Rila monastery complex. There is an ossuary and an old carved iconostasis. The building, the murals, and the adjacent building date from the eighteenth century. The Assumption of Saint Ivan of Rila church is to the east, dating from the eighteenth century. The church complex comprises the local cave where Saint Ivan lived. It is built on the place where the Saint’s grave is believed to have been. The Saint Lucas church, also dating from the eighteenth century, stands in the place of an ancient chapel. It is in two storeys, and the west wall exhibits building type characteristics of the medieval period. The Protection of the Mother of God church, north of Saint Lucas church, was built in the eighteenth century where another church stood, and the murals date to the same time. The Rila monastery, Bulgaria complex ground was where eminent Bulgarians found their resting place. The graves of the former tsar, Boris III, Neofit of Rila, Hrelyo, and also the British James Bourchier lie on its grounds. Rila Monastery has an individual settlement statute. Visit Rila monastery in Bulgaria as part of your Balkan adventure.